Osteopathy is the science of human mechanics. It is a system of diagnosis and treatment which lays main emphasis on the structural and mechanical problems of the body. 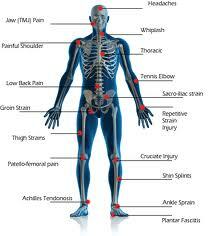 The osteopath concerns himself with the nerves, the muscles and joints of the body, the neuro-musculo-skeletal system. The practice of osteopathy first started in the USA at the end of the 19th century (by Dr Andrew Taylor Still). It has grown into a large branch of medicine in the USA where there are special hospitals dedicated to the practice of osteopathic medicine. Although osteopathy has been practised privately for some time in Australia, the profession has remained relatively small with practitioners coming mainly from overseas. This has begun to change over the last few years. There are three separate osteopathy courses in Sydney and Melbourne producing osteopathic graduates and more people are experiencing the benefits of osteopathic treatment. A registered osteopath receives a very similar education to a medical doctor. He studies basic medical science including regional anatomy, physiology, neurology and clinical methods to a similar degree. No practical obstetrics or general surgery are studied but the student osteopath has more advanced training in orthopaedics and the detailed examination of the nervous system, muscles, ligaments, tendons and joints of the body. The mechanics of the body are also studied in detail (systemic anatomy) and an osteopath’s sense of palpation becomes highly developed. Current training is a five year full time double degree course. How does an Osteopath differ from a Physiotherapist or a Chiropractor? Osteopathy generally differs from both physiotherapy and chiropractic in the underlying principles that are applied to each individual case and the variety of different techniques employed to treat different conditions.